Nothing beats the flavor of homemade Vodka Sauce in this Penne alla Vodka recipe. 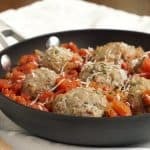 This impressive dinner is super easy to make! Vodka sauce is basically a simple tomato sauce (pomodoro sauce) that is pumped up with cream and vodka. If you look through the jarred pasta sauces on any grocery-store shelf, you’re bound to come across a jar of pink/orange-hued vodka sauce. 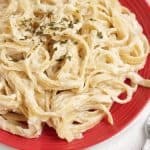 This creamy sauce boasts a flavor and texture that fall somewhere between jarred Alfredo sauce and classic tomato sauce. 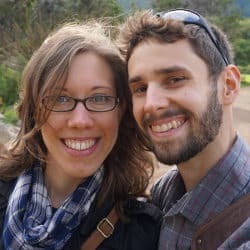 It’s creamy and flavorful, and some (like Tim) find it very addicting. So, when Tim requested we make our own Penne alla Vodka, the search started to figure out what this sauce actually is and where it came from. Vodka sauce is not a traditional Italian sauce, rather it is thought to have been introduced in Italy in the 1970s. 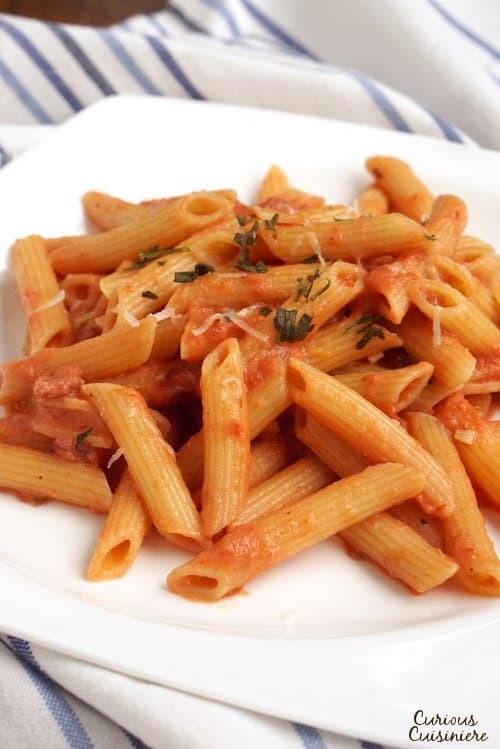 But, although we know its history to be recent, the actual origins of penne alla vodka are widely disputed, with many chefs claiming to be the inventors. Some historians claim it was invented at a restaurant in Bologna, Italy, called Dante. 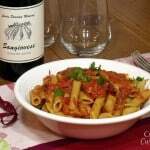 Others credit Luigi Franzese, a New York City chef, with the invention of a dish called Penne alla Russa, named for for the Russian influence the vodka brings to the sauce. Still others say it was invented by a chef in Rome at the request of a vodka company who wanted to make their liquor more appealing to Italians. 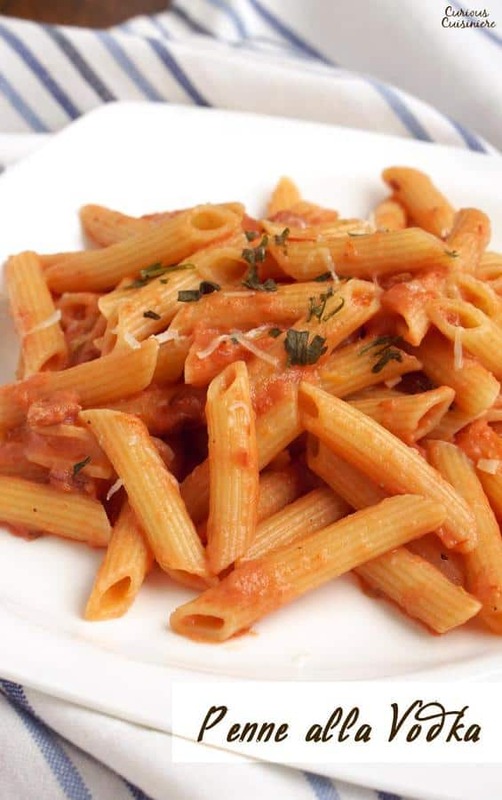 Either way, penne alla vodka quickly grew in popularity in the 1970s and 80s. 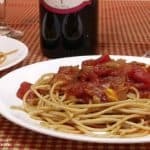 Honestly, we always thought that the vodka in the vodka sauce was there to add a bit of spicy depth to the sauce, and while it does a great job at that, there is an even more practical reason for the vodka. Alcohol releases the flavors in the tomato. 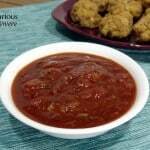 You find this in other Italian tomato sauces. But, most of the time Italians use red wine to release those flavors. By using vodka, you aren’t introducing another flavor to the sauce (like you are with wine). 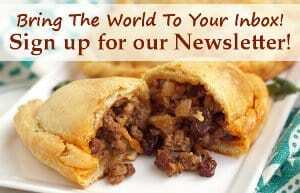 Rather, you are simply intensifying and opening up the path for those tomato flavors to really burst through. As if that wasn’t enough, vodka is also an emulsifier, helping to keep elements from separating. 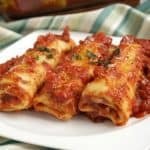 Typically acid will cause cream to curdle or at least separate, but with the help of the vodka, this sauce stays nice and creamy. Vodka, who knew you were so versatile? 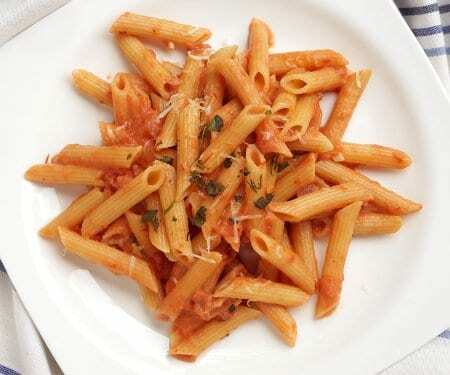 For a dish that you typically never see made at home, penne alla vodka is incredibly simple to put together. With a bit of sauteing and a bit of simmering, 15-20 minutes is all you need to have this luscious and flavorful sauce on the table. It’s the perfect recipe to make for guests, because it’s so quick, yet so impressive!! 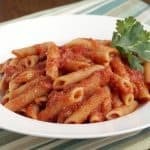 If you love vodka sauce but want to try a lighter version, you’ll want to check out our Healthy Penne alla Vodka recipe. 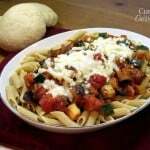 It brings all the same flavors of classic penne alla vodka, with a healthy twist! In a large pot, cook penne according to its package instructions. Drain and set aside when done. Heat the oil in a deep sauté pan. Add the pancetta (or bacon) and sauté for 2 minutes. Add the minced garlic. Sauté for 1 minutes. Add the vodka and stir well, letting it simmer for 1 minute. Add the crushed tomatoes, salt, and pepper. Bring the mixture to a light simmer and simmer over medium low heat, uncovered, for 5-7 minutes, to thicken the sauce slightly. Add the cream and heat the sauce just until it begins to simmer. Remove the sauce from the heat. Pour the sauce over the cooked and drained pasta. Top with fresh parsley and basil just before serving. No matter who invented this but I love this recipe. It is easy to make and delicious to eat. Please bring more new dishes like this. It is a wonderful dish! Glad you like it!